Arrangements are in full swing to celebrate the Rashtriya Ekta Diwas on 31st October, 2018, the birthday of Sardar Vallabhbhai Patel. Several events are scheduled to be held by various Ministries, PSUs and organisations across the country. In the national capital New Delhi and all over the States, people will take a pledge to protect the unity and integrity of India and participate in the Run for Unity programme. In Delhi, the Run will be organised from Major Dhynachand Stadium on 31st October at 7 AM. It will be flagged off by the Union Home Minister Shri Rajnath Singh. The Home Minister will also pay floral tributes at the statue of Sardar Patel in the Parliament Street. Various Ministries/ Departments will organise Run for Unity, March Past and Ekta Diwas pledge as well as other different activities on the occasion all over the country. These ministries include the Ministry of Youth Affairs & Sports, External Affairs (MEA), Defence, Railways, Power, Housing & Urban Affairs, Shipping, Civil Aviation, Road, Transport & Highways, Tourism, Petroleum & Natural Gas, among others. Senior citizens, women, ex-servicemen, prominent sports personalities and others are expected to join the celebrations. The MEA will organise pledge taking in Indian Missions. Essay/Quiz Competitions, debates, short films, photo exhibition etc. will be organised in offices of MEA and in the Indian Missions. It will arrange ‘Talks’ on life and contribution of Sardar Patel in cooperation with ‘Friendship Societies’ and ‘Think Tanks’. The Ministry of Railways will organise pledge and March Past at its Zonal and Divisional HQs. Under the Ministry of Housing and Urban Affairs, various events such as Run for Unity, pledge, floral tribute, poetry/painting competitions involving all citizens of Tier-I and Tier-II cities including SMART and AMRUT cities/towns will be organised. 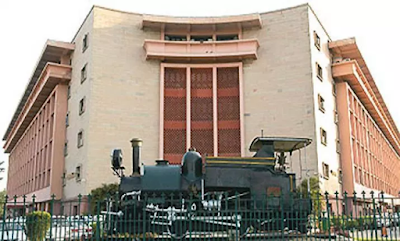 The Ministry of Culture will organise activities including essay, quiz competitions, lectures and symposium at Sahitya Academy and other programmes at Zonal Cultural Centres. The National School of Drama will organize a special play on Sardar Patel. The Human Resource Development Ministry is organising essay competitions/debates, Run for Unity, pledge in 2000+ Kendriya and Navodaya Vidyalayas, drawing participation of a huge number of students. The students will also be encouraged to speak simple sentences/words in constitutionally recognised 22 Indian languages for 22 consecutive days – one language every day. The Ministry of Petroleum and Natural Gas will organise programmes in oil PSUs. 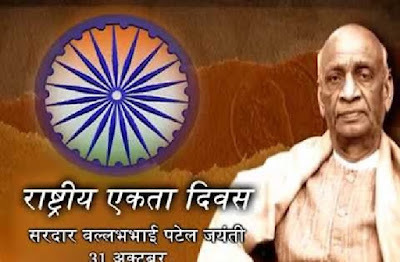 The Ministry of Information & Broadcasting will telecast the film 'Sardar' on DD, play radio and TV jingles and will run features on life and achievements of Sardar Patel. Talk shows/interviews based programmes/live phone-in programmes on 'Integration of India will also be telecast by the Ministry. The Central Armed Police Forces (CAPFs) will actively participate in State-level and other field level functions and organise March pasts.